Happy Holidays everyone! As you can see, I’ve been more than a bit busy with visiting multiple families and opening presents and cleaning houses and doing the other seasonal trappings that–despite a vacation from work–I haven’t had time to toss some malls to you guys in awhile. I visited the Binghamton area’s Oakdale Mall back in October during my trip to the Syracuse area and other parts of central New York. Here’s the satellite view. 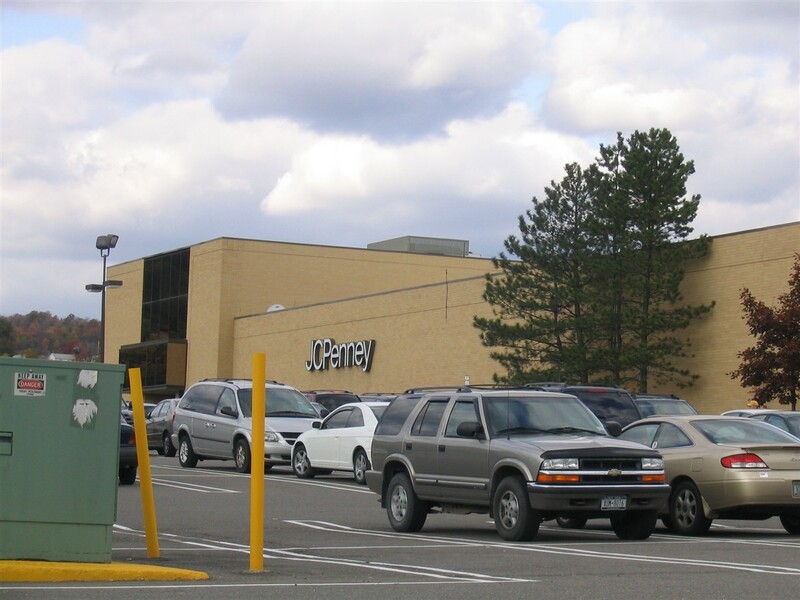 Dubbed the Tri-City Shopping Mall in development phases, the Oakdale Mall opened in Johnson City, New York, on October 1, 1975, although the Montgomery Ward store opened in 1973. By mid-August 1975, the mall had an open house. None of the stores was open yet, but nearly 30,000 prospective shoppers showed up to see the progress. “This is going to be wonderful,” one visitor told a reporter from the former Sun-Bulletin. “There will be no reason to go downtown anymore,” the visitor added. How true that comment became. One by one, downtown department stores in Binghamton moved to the mall or closed for good within a few years. This certainly wasn’t a unique problem Binghamton endured, as this trend was growing across U.S. cities. I don’t know a ton about its history beyond a few of its anchor store shifts: the Macy’s seen here was a Kaufmann’s until 2006, and it was a Montgomery Ward from 1973-2000. Clearly the building was either demolished and rebuilt or dramatically renovated, since it’s a fairly standard May Company exterior. The Burlington Coat Factory was a Bradlees until that chain’s demise until 2001. 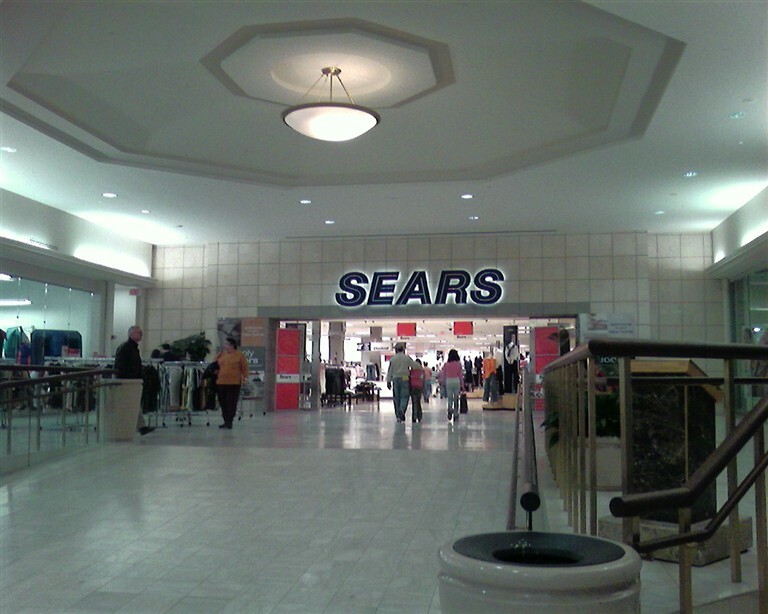 Sears, JCPenney, and The Bon-Ton round out the anchor roster. The Oakdale Mall is an old center but it seems to have been renovated relatively recently (probably around the turn of the century, which is kind of a funny thing to say. Try it!). 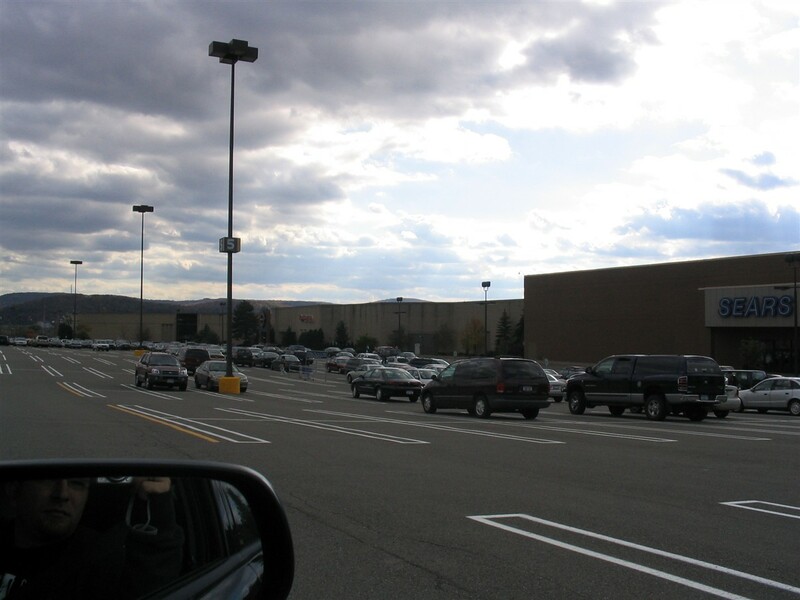 It’s a long and bright one level mall that gradually stair-steps up a hill, and is the only major enclosed mall serving the Binghamton, New York metropolitan area. A few of my own favorite features were the expansive court areas, the vintage (and best, frankly) Bon-Ton logo, and the design of the entire Burlington Coat Factory/Bradlees anchor. That funky hanging garden effect on the mall interior was especially cool. Mr. Damas, I think you made a sneek, rare appearence in [the mirror] one of these shots. Nice to meet you! Actually that’s my frequent shot-gunner (note how the photo is being taken from the passenger side) though I actually am in a few very old shots on the site that were taken by Prangeway. They’re all like 5+ years old though. 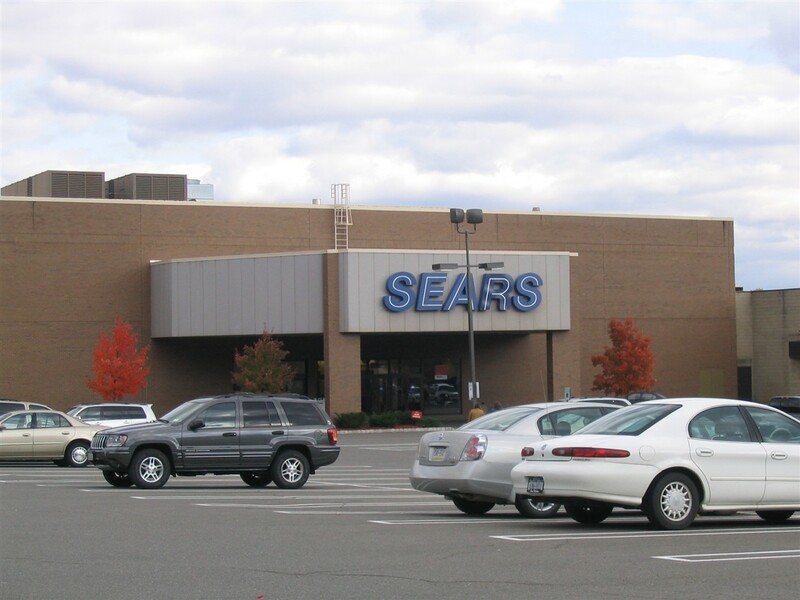 Here’s another of the malls that I grew up on/in, having grown up about an hour away in the Ithaca area and having lived for about a year in the Binghamton area in the late 90’s. A couple of things. First, the mall was built in two phases, with the Montgomery Wards (which was torn down to make way for the current Macy’s store) and Bon-Ton (originally Fowler’s, a local department store, eventually bought by Hess, eventually becoming Bon-Ton) store section built first in 1975, with the Sears/Bradlees section following in 1979-80. 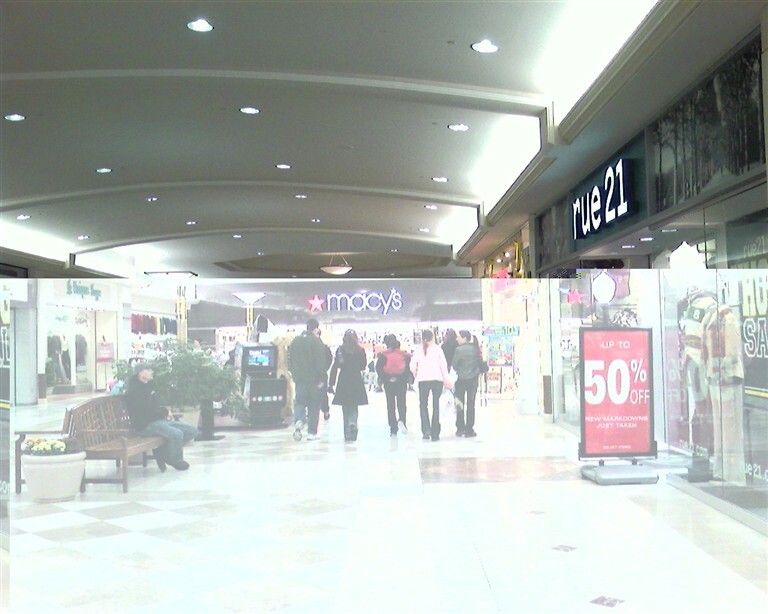 The Mall was renovated around 1997 (ironically the time period that I was living in the Binghamton area). There was a tiny 4 screen theater in this mall as well, but it went the way of the dodo/passenger pigeon once the 12 screen stadium theater complex was built of of Interstate 81. @Chris Whittaker, actually it was a 3-screen theater…originally operated by CinemaNational. They were not very well soundproofed, though. If a movie in the theater next door was especially loud, you could hear the booming. BTW I also saw Star Wars there on its opening night in the Triple Cities…to this day the only standing ovation I’ve ever witnessed in a movie theater. Nice place. 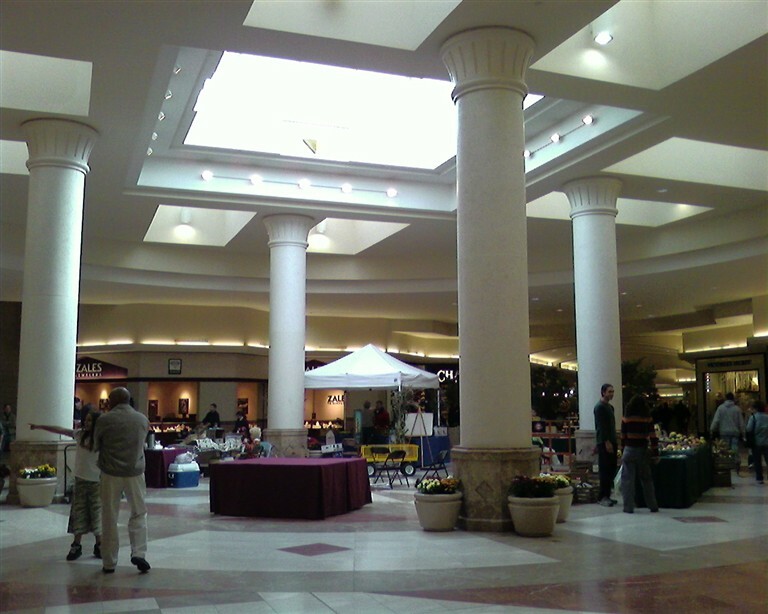 I’ve been wanting to check out some of these malls down in the southern tier of my state. Have any of you guys been to the Newburgh or South Hills Malls in the Hudson Valley? I have pictures, and I need to make some more posts on my blog. I have been busy though. Expect new posts next month! Amazingly, though., Binghamton remains one of the very few cities of its size (city population of roughly 45,000, metro area of about 210,000) with a downtown department store, since there is a Boscov’s in the downtown spot that Fowler’s abandoned a couple of years after opening their location in this mall. That store might not be long for the world, though, due to the lack of anything else in the downtown area to serve as a complementary draw (The Metrocenter (A small downtown mall/office building that was connected via a skywalk and stairs across the street from Boscov’s) was a failure almost from the start. What I’m wondering is if the impending food court to be built in the location of the former movie theater (if you look at the mall’s site plan) will help or hurt this mall, since this is an out of the way location, plus it will open up several more holes in the main part of the mall. Just visited this mall today on my way back from Elmira. 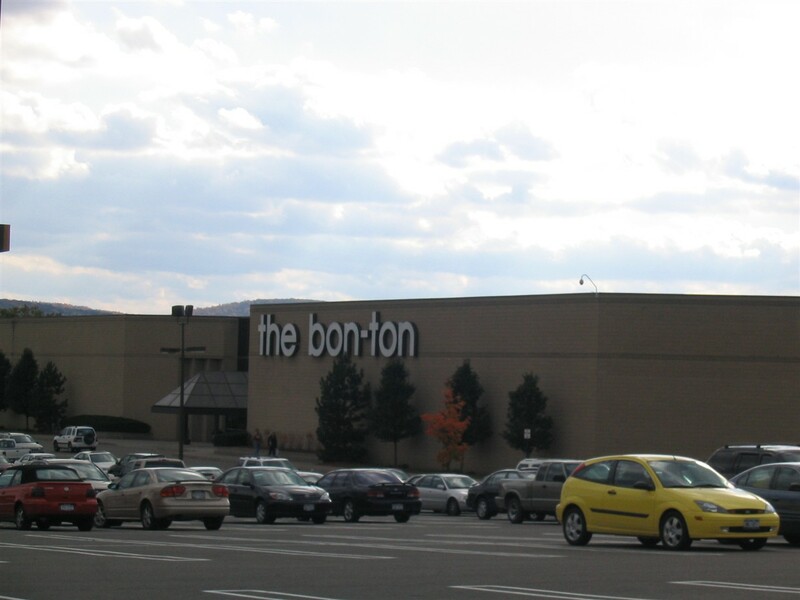 I didn’t know it was Oakdale Mall until I drove off the highway and noticed that unusual looking Bon Ton you just wrote about. Looked spiffy; but not really my cup of tea after visiting Arnot Mall, a much more interesting and unique lesser known mall of Southern N.Y. I did, however, dig that vintage Burlington Coat Factory entrance and suspected it once belonged to Bradlees. 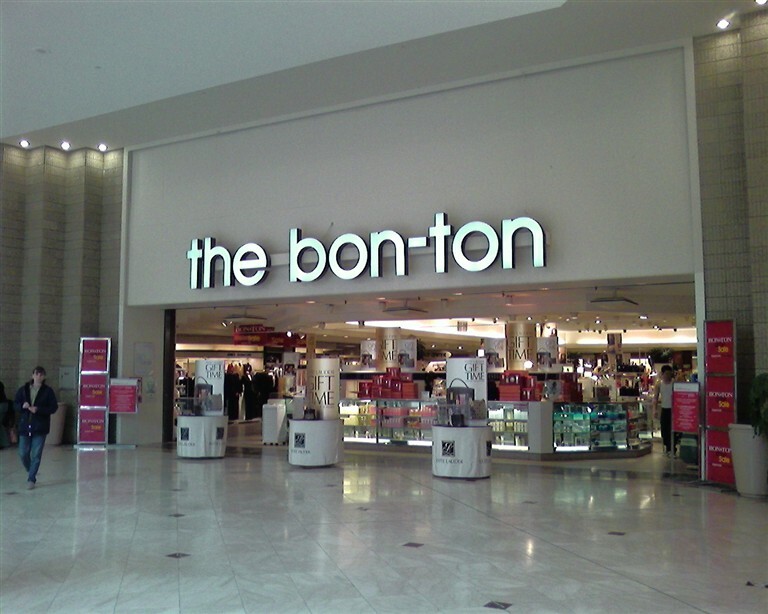 What a shame that Bon Ton didn’t stick with that logo, it’s so simple and it doesn’t look so ‘ugly’ as the current one. Bradlees closed in 1998 as part of there Chapter 11 Bankruptcy in the 1998 round of closings , not 2001 with the rest of the chain. What happened to the lower-right hand shot?? It’s damaged somehow. 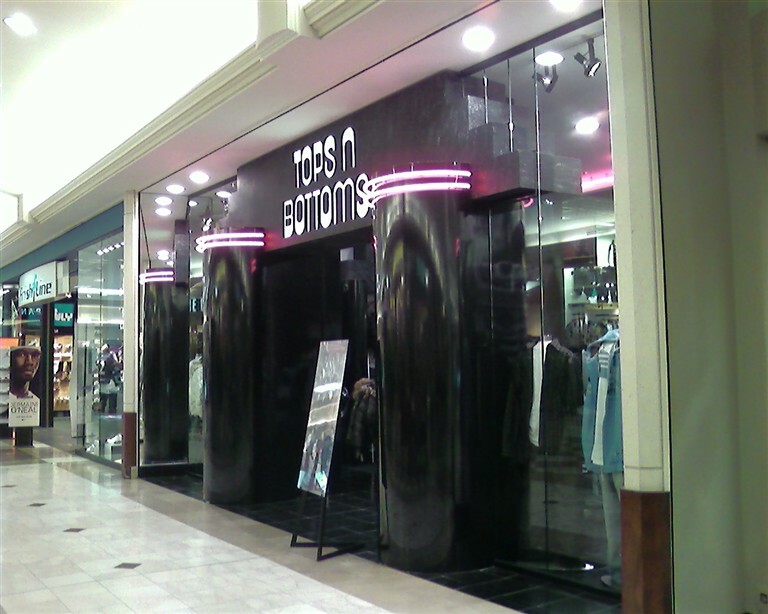 I read years ago that Howlands (later Steinbach) had a store at the Oakdale Mall. Where was it located? I can’t figure out from the floor plan. I would swear from the pendant light in the sears court and the design of the columns in the center court that this was owned by Simon and renovated in the last several years….that fixture is identical to those at palm beach mall, Melbourne square and a few other Simon malls Ive seen on this site…further proof of the blandification of malls in this country. 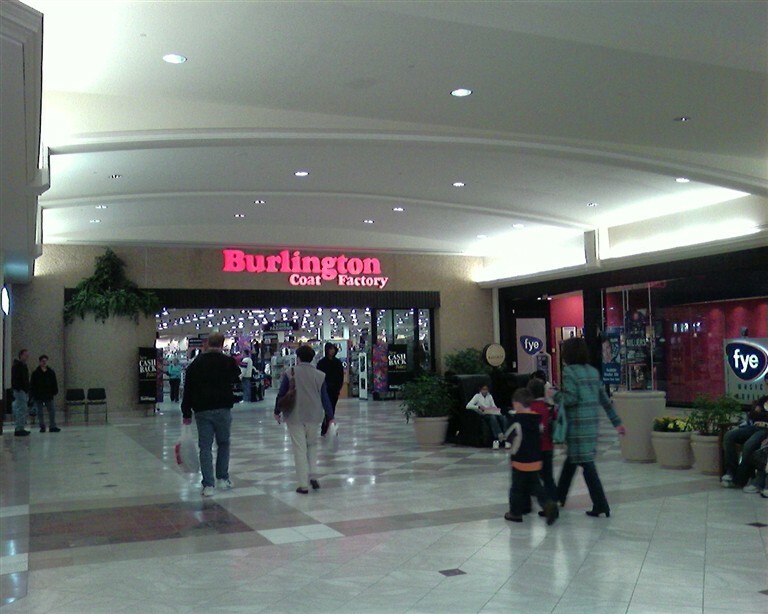 Wondering why anyone [or everyone] keeps calling it Binghamton’s mall………..it is definately and solely located in JOHNSON CITY NY. If Binghamton had a mall, it would most likely close in a few years, be very sparsely inhabited and shopped at, because most of that city’s businesses are built over land that soon develops LARGE sinkholes, potholes, heaving, etc making it not worth the effort to find parking, let alone walk on buckling floors. Howlands was in the spot that JCPenney is in now. @Christine, actually Howlands was located between Bradlees (now Burlington) and the alleyway where the arcade and theaters were. I think that its Abercrombie today. 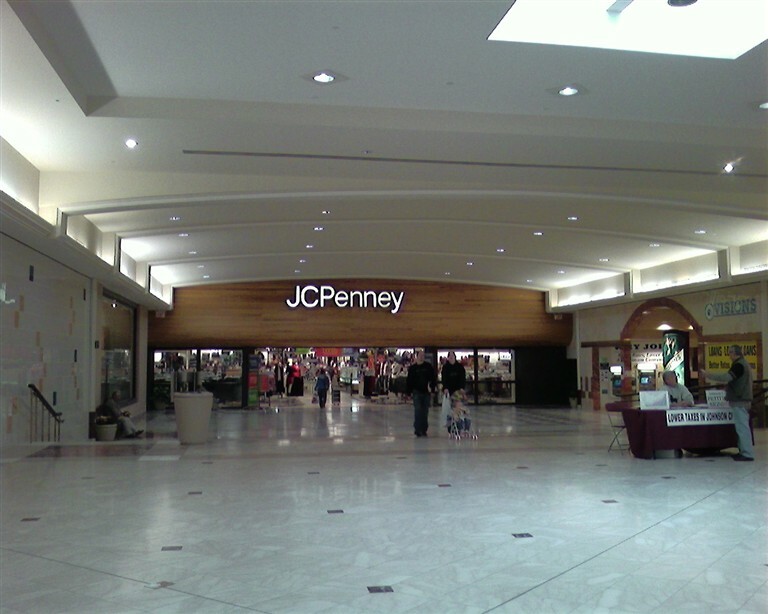 The JC Penney was a new construction. Before that it was just a group of mall doors out to the parking lot. I remember having one of those “roller coaster” machines in front of that entrance when I was a kid, you know the kind that was like a spaceship (shaped like a toaster) that closed you inside and showed views of flying and stuff on a screen while the whole thing rocked. @Mike, you are correct. Howlands did not have a separate “box” store, but rather was in line with the corridor of other shops just north of the center court. I also remember the simulator ride down in that quiet exit area years before JC Penney was built…back in the 70’s it was quite a thrill. 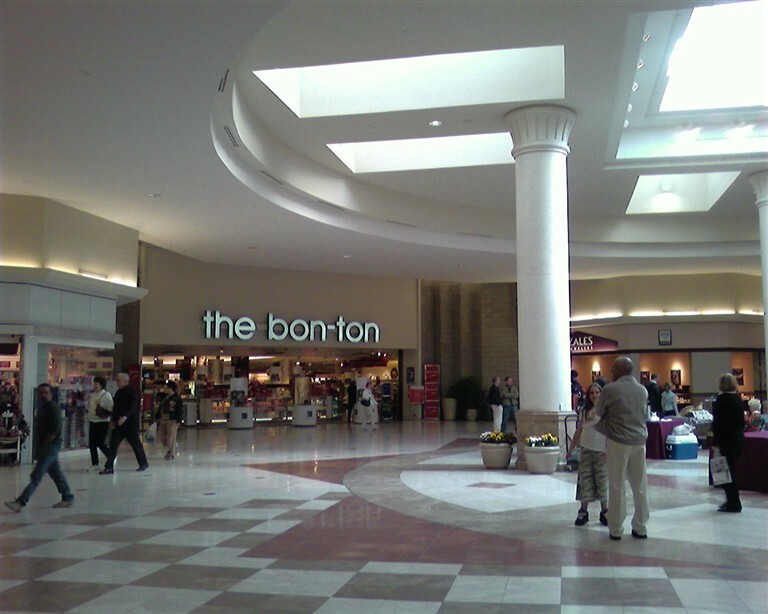 Bonnie, people call it Binghamton’s mall because Johnson City is an afterthought on the map. Hell, the city won’t even EXIST soon since it has absolutely no money. Funny you should talk about sinkholes, etc in defending Johnson City. When is the last time the city spend one penny on their parks? Or on their streets? Johnson City is by far the worst city I have ever encountered in NY State, which includes several dozen. Love your blog!!! Love malls!!! There was a tiny 4 screen theater in this mall as well, but it went the way of the dodo/passenger pigeon once the 12 screen stadium theater complex was built of of Interstate 81. It was actually a 3 screen theater. I worked for Loew’s Theaters at the time. The facade of the theater used the same dark brown tile that were originally used for the malls floor. That dreary look stayed after the malls remodel. The triple-plex was closed by Loew’s shortly after the construction of the Hoyt’s Theater on Upper Front St *Off of I-81, now a Regal*. The theater was reopened by a local person as a discount operation, but did not last. After a local indie film cinema burned down, they temporarily used the mall location… but also did not work out. I am guessing because of rent. The rent at the Oakdale Mall is amazingly high for upstate NY. 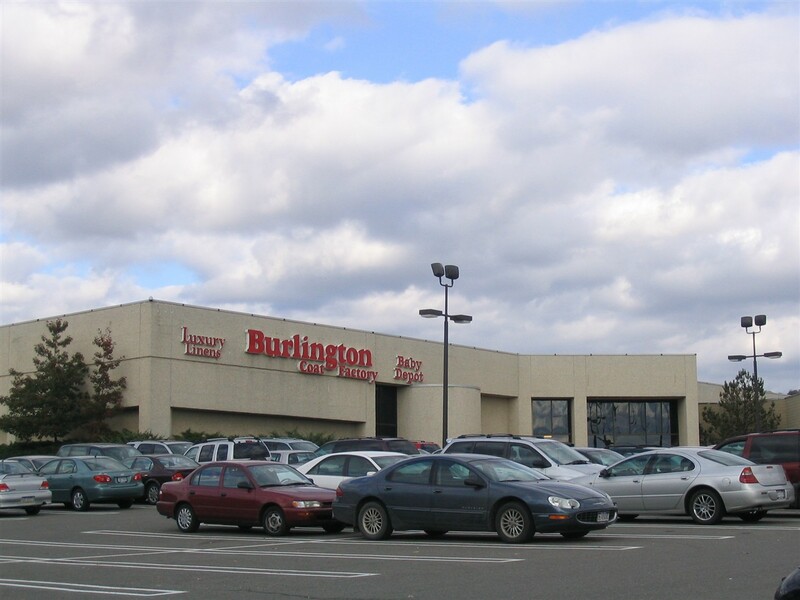 Once Burlington Coat Factory took over the Bradlee’s location, no theater operation would be allowed do to the contract BCF has with Vornado… BCF’s position was that it would take up parking that their shoppers could use. A local coffee shop which is close enough and would need it’s own space. An Auntie Anne’s which is basically right there. The pizza shop is right across the hall and would probably move… an arcade may reopen in that spot, since one would be needed. Subway would move to the food court. Arby’s would move would move to the food court. Basically the food court would only make two locations move… McDonald’s, Burger King and an asian restaurant would probably return… and other new franchises would open. 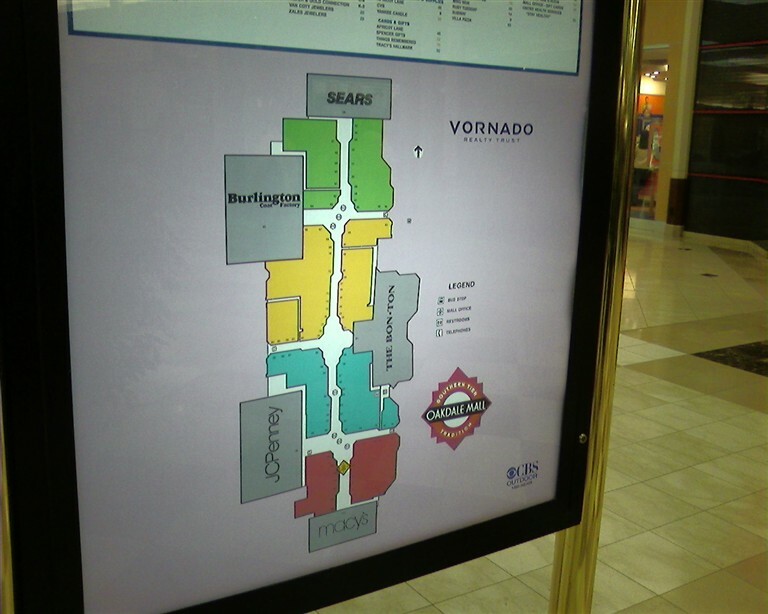 I would agree that the Arnot Mall is interesting… but I don’t think is better… with the exception of the Food Court. I like eating at the Friendly’s overlooking the off kilter center court. At Arnot, 106 spots are filled of their 135 store fronts/kiosks. Oakdale on the other hand has 100 of it’s current 112 store fronts/kiosks full. What I found interesting is that while many of the stores at Oakdale currently have taken over multiple smaller spots like Abercrombie & Fitch and Hollister Taking over Limited, Limited Too and Caciques old spots… FYE took over 4 small store fronts… and GAP took over 3 themselves… and most recently, Against All Odds took over 2 spots. Arnot seems to be dividing locations up into smaller ones… like 11A, 11B, 11C. While it is a blandification… it is by a lesser known company. Vornado out of New York City. 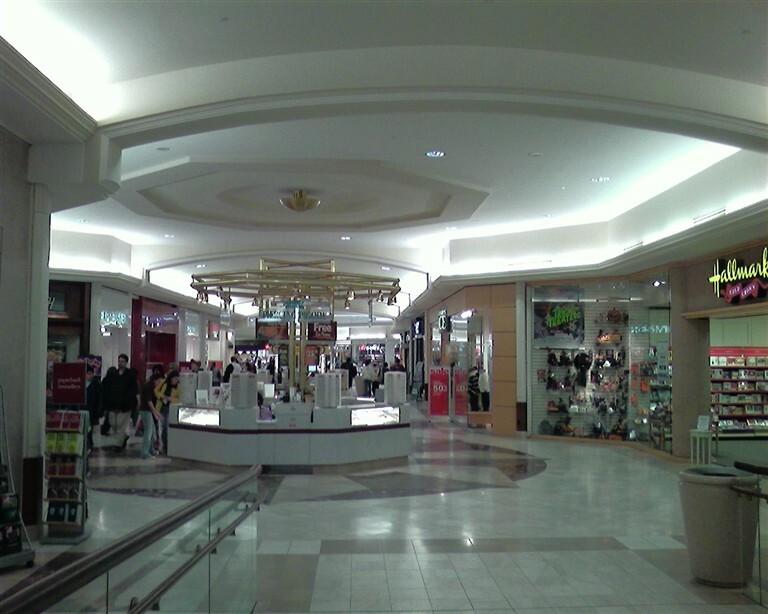 They only have 16 enclosed malls… they also have 150 shopping centers and just over 50 shopping sites in Manhattan. The only complaint I have about Oakdale is the mall management. The managers *a husband & wife team* have been there forever and still run it the way it has always been. It doesn’t even have a customer service desk out on the floor. It is hidden away down a tiny hall way in the mall office. They would sell so many more gift cards and have better community relations if they put someone in a Customer Service Kiosk. It is called Binghamton’s mall becuz we are Greater Binghamton. Whenever a city is called “greater”, that means it is the dominating area, such as Greater Peoria, where I once lived, also. Binghamton is a great city and has a marvelous history. It put out society’s greats, such as Rod Serling of Twilight Zone, and myself, a Christian Rocker who has made my own mark around the world. So shop at Greater Binghamton’s mall and enjoy. Does anyone remember Tiffany”s bakery? There was a pastry there that my dad misses. I have been trying to find the owners since i have not been able to find a similar recipe. @Edith, I worked there in the late 70’s early 80’s,as one of the bakers. Owners last name was mastranardi. I remember before i ever worked there the smell would just drawn people in. Everything was baked on premisis starting at 4:00am. Haven’t heard anything about the owener in years,he was old back then…used as a job referance for years, Good luck finding that recpie! Bon ton at the oakdale mall has the most rude employees. A dark haired lady named pam wouldn’t help me with my purchase. Card just got cut and My family and friends will follow. 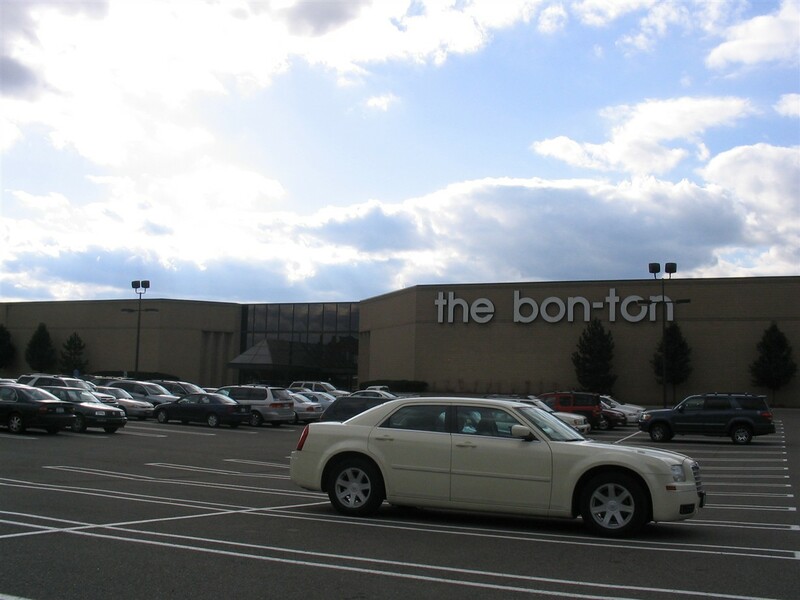 NO MORE BON TON!!! Went to college in the area in the late 90s/very early 2000s. This mall was literally frozen in the early to mid 1980s. It had a Chess King, which I can safely assume was the only one left on the planet. Anyone remember some of these old vintage Oakdale Mall stores from the 1970’s? @Kirk, Having an argument with someone over the location of Copperfields Restaurant in relation to the current mall stores. Can you help? @Kim, I believe Ruby Tuesday’s occupies the spot where Copperfield’s originally was located. @Kirk… yes! I recall several of those shops and enjoyed eating dinner with my Dad at Copperfield’s. Also got my hair cut at Command Performance. I remember so many of the old stores. 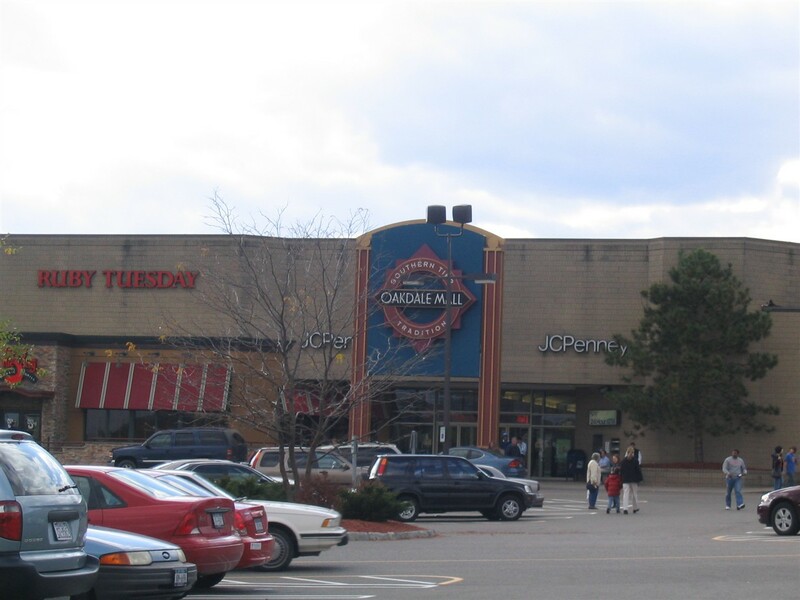 I pretty much grew up at the Oakdale Mall. When I was in elementary school, I went to the mall to shop with my mother and ate at Friar’s Inn, which was across from the theaters but also had an outside entrance. They had great burgers that came with curly fries and a pickle spear. I remember ordering and then running like hell through the mall to Kay-Bee Toys and back before my meal arrived. When I got older my mom would drop me off on Friday night with $5. I would use a Dine-a-Mate coupon for either Burger King or Taco Maker, and use the rest of the money for either the Outer Limits arcade down by Montgomery Wards (very dark and smoky, and kind of scary) or Alladin’s Castle by the theaters. In my teen years I’d buy my clothes at either the Shed House for Jeans (dressing rooms had doors that looked like outhouse doors) or Chess King-it was the 80’s after all. I bought my first grown up suit (Miami Vice style) at Silvermans. I remember great snack opportunities like Swiss Pretzel, Orange Julius, Bob’s Old Fashioned Lemonade (great ice cream bars dipped in chocolate) and the Great American Cookie Company. My first date with my wife was at the mall in December 1981. I think we saw on golden pond. What were the restaurants that would have been open at this time? I remember scotch and sirloin was at vestal plaza but don’t remember what was at Oakdale. Some posts i have read mention Copperfield’s and Friars Inn. Was anything else there? What were these places like? Does anyone remember the fire at the mall? 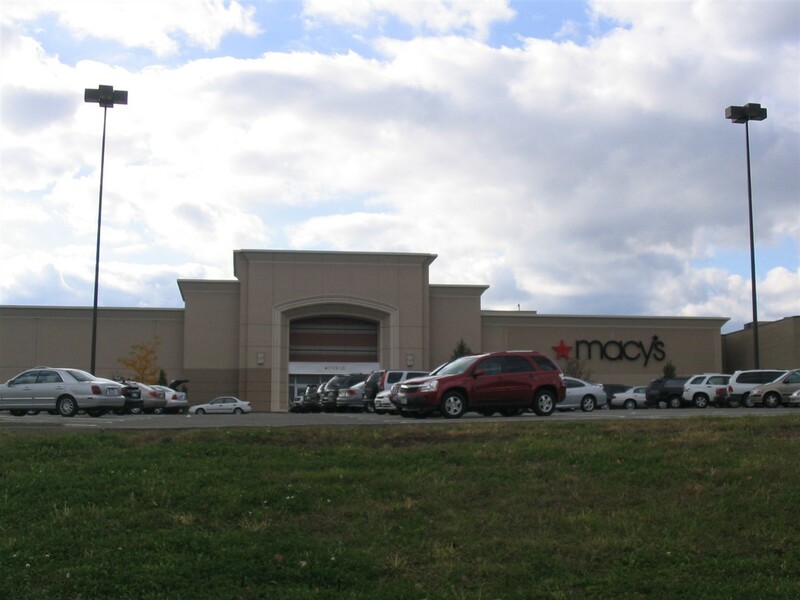 Macy’s has recently announced it’s closure at Oakdale Mall.